Current and historic longevity estimates for the Pacific grenadier (Coryphaenoides acrolepis) range from 6 to greater than 60 years. Age estimates in this study using growth increment counts in thin otolith sections indicate the Pacific grenadier is a long-lived fish. To validate this growth information, age was determined using the radioactive disequilibria of lead-210 and radium-226 in otolith cores from adult Pacific grenadier. Radiometric ages closely agreed with age estimates from counting growth increments, which confirms their annual periodicity. Radiometric results indicate the Pacific grenadier can live at least 55.8 years (–7.4, +10.1 years). Growth increment counts from large fish indicate longevity may approach 73 years. 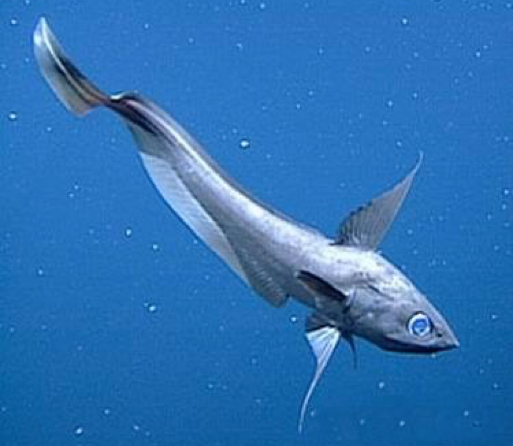 Because the Pacific grenadier is long-lived and matures late in life, it may be vulnerable to heavy fishing pressure. Therefore, conservation measures need to be taken to sustain this rapidly developing fishery. Andrews, A.H., G.M. Cailliet, and K.H. Coale. 1999. Age and growth of the Pacific grenadier (Coryphaenoides acrolepis) with age estimate validation using an improved radiometric ageing technique. Canadian Journal of Fisheries and Aquatic Sciences 56: 1339–1350. This is one of two papers that resulted from my Master of Sciences in Marine Science through Moss Landing Marine Laboratories (California State University). 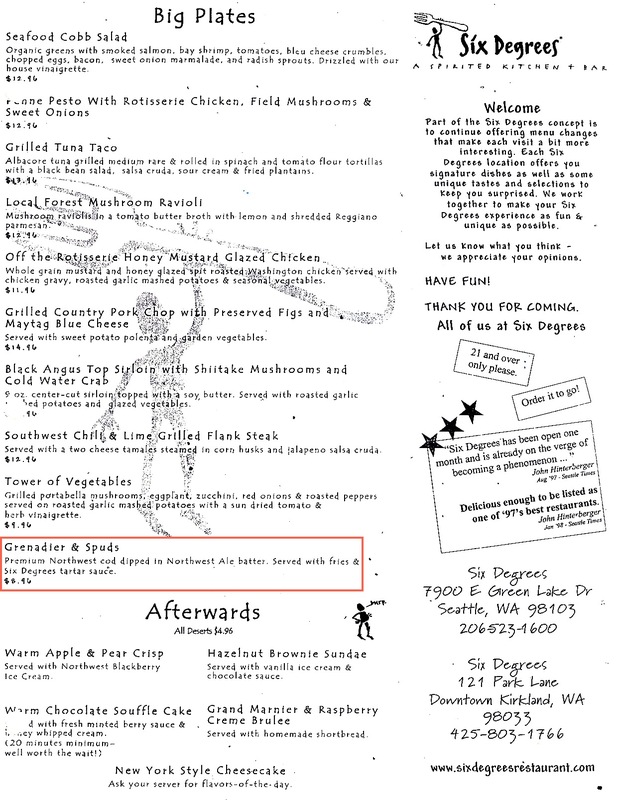 This first started to show up in restaurants in Seattle.